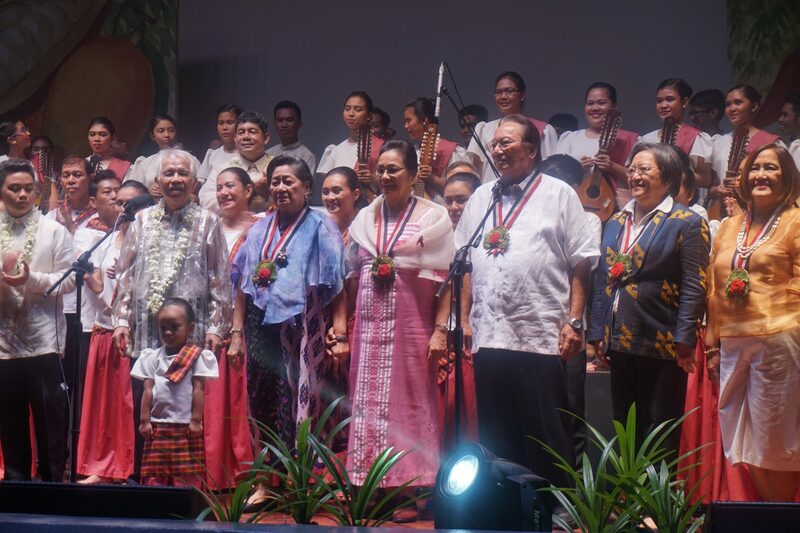 From left: Maestro Jerry Dadap with 3-year-old Eumi Maurin, Leonarda Tulao, Mama Sita Foundation President Clara Kalayaan-Reyes Lapus, Adolfo Reyes, Rosie Lardizabal, and Aida Rejano. This year marks the 100th birth anniversary of Philippine culinary icon Teresita “Mama Sita” Reyes. 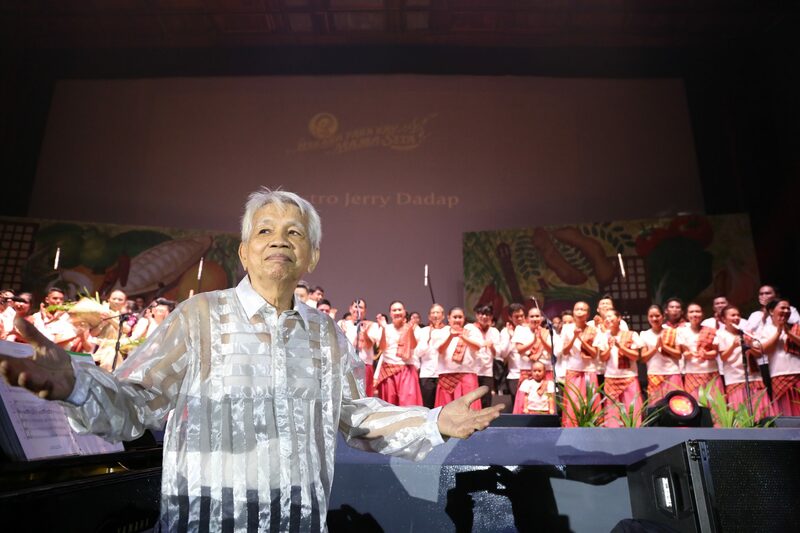 On September 29, guests of all ages were gathered at the UP Film Center to witness “Harana para kay Mama Sita,” a musical event, honoring the joyous life of the country’s favorite Ina. “For Mama Sita, life is to be enjoyed to the fullest. Nothing is to be wasted. 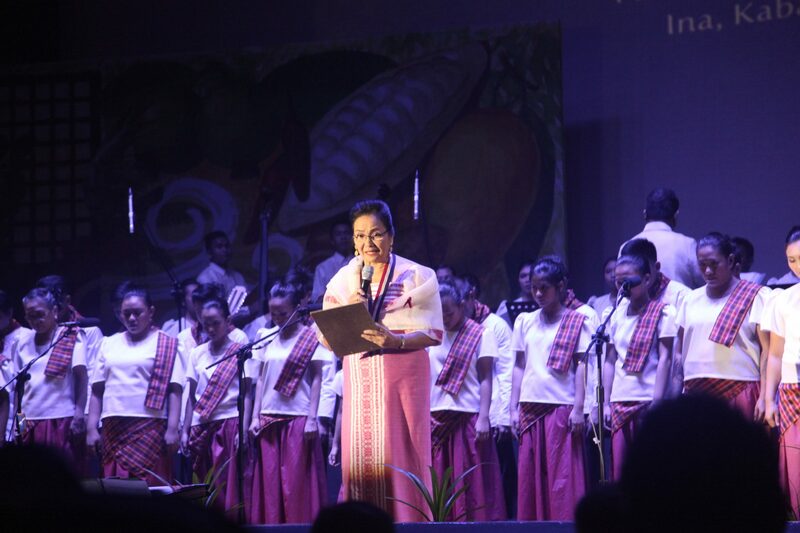 She loved going to the market to buy the best in season, sang love songs while cooking, and united people through food,” shares Clara Reyes-Lapus, president of Mama Sita Foundation and 4th of Mama Sita’s 11 children. Clara Kalayaan-Reyes Lapus, Mama Sita Foundation President and 4th of Mama Sita’s 11 children, giving her welcome remarks. 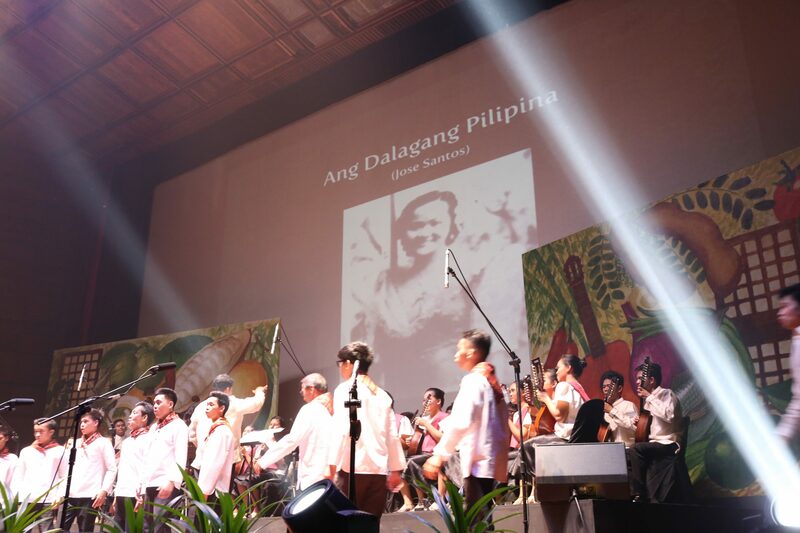 The choir and rondalla aptly heaved up the concert mood with their first performance of Philippine Folk songs “Sitsiritsit,” “Inday Pamutos Na,” “Atin Cu Pung Singsing,” and more. Audiences are then serenaded by the Harana songs such as “Ang Dalagang Pilipina” by Jose Santos, and “Paraluman ng aking Bayan” by J. Massaguer. Consequently, on the third suite are the patriotic music, performing “Kayumangging Malaya” by Lucio San Pedro, “Sa Dalampasigan,” Jerry Dadap’s signature compositions “Lulay,” “Awit ng Pagkakaisa,” and “Alay sa Inang Bayan,” and the iconic songs “Bayan Ko” by Constancio de Guzman and “Pilipinas Kong Mahal” by Francisco Santiago. Maestro Jerry Dadap with Andres Bonifacio Concert Choir and RTU Tunog Rizalia Rondalla. paying tribute to the family of Teresita “Mama Sita” Reyes, all the performers, including the young orators from Malolos’ VSE Productions.